In high school, I dressed up most of the time, and I think I had a pretty clear vision of what I wanted to dress like and what I liked. I wore a lot of chino shorts and dresses and button downs and a whole lot of stripes. I posted my outfits all the time on Tumblr (#ootd), so I know for a fact that I used to put effort into what I wore. But once senior year and senioritis hit, I definitely didn't dress up anymore. Norts and oversized t-shirts became my thing as I perfected my role as a future sorority girl, which obviously followed me into college where I am an actual sorority girl. Now that I am older, I know that my uniform of bright Norts/leggings and obnoxiously oversized t-shirts will no longer cut it in a few years. 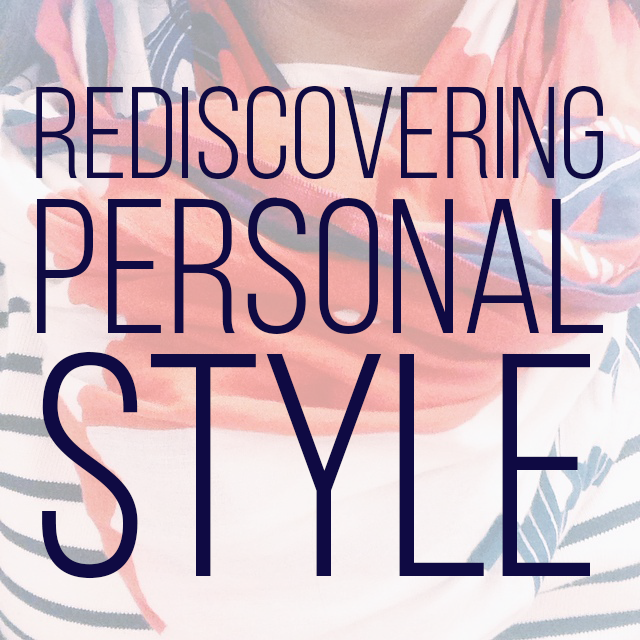 I know that shortly I am going to have to start dressing like a human again, but it's been hard for me to define my personal style with clothes (and interior design wise). For the last year or two, I have felt kind of torn and confused about what kind of clothes I liked. Did I still like classic staples? Was I still as preppy as I had been as a 14-year-old? Or had my style changed to something different? Bohemian? Edgier? Hipster-ish? While I think we all know the answer to that already, I still struggled with trying to determine what was "me." And I think my struggle had two parts to it. 1. I hadn't really worn anything than a comfort colors t-shirt consistently in almost two years, and 2. I hang out with people who are so incredibly different from me. My freshman year roommates definitely have different styles than I do. Carson's is more hipster/easy going while Lota's is definitely edgier than I could ever be. Then my best friend Emma's style is more minimalistic yet whimsical. Also, I got caught up with not only my friend's styles but everyone else's around me rather than my own. I follow a lot of people on Instagram and YouTube whose style I would describe as just "cool." Ripped jeans, colored sunglasses or those really small lensed sunglasses, and those newsboy hats, that for some reason are back in style. A complete 180 from how I would ever dress, but I started thinking maybe I should dress like that. Maybe I should be shopping at Urban Outfitters, Free People and Forever 21. I felt confused and not super confident in my style, whatever it was because I felt like maybe I was missing something when I looked to other people for inspiration. I like stripes and gingham. I like oversized cable knit sweaters and pants that feel like leggings and comfortable jeans. 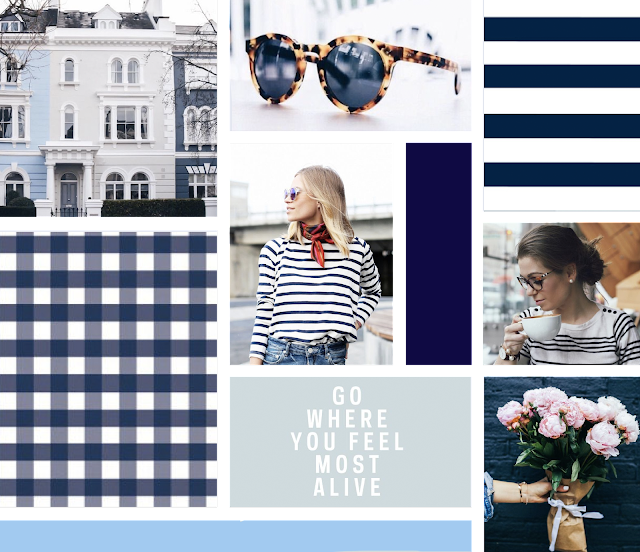 I like the idea of having a closet filled with navy, black, and white. I like simplicity and comfort, but I also like the occasional bright color and have recently discovered I love red, a color I literally did not own in high school. I guess that is what going to Alabama does for you. That's what I am happiest in, so why was I trying to be something or someone else? Recently I've been coming terms over the last few weeks since I've been working on reorganizing my closet and room with the fact I don't look like the people I follow for a reason...I'm not them. So what if I don't wear ripped jeans and graphic t-shirts? That's not my idea of a comfortable outfit, but if that's your idea, then that's great! Wear it! I can still appreciate someone else's style without having to feel like it needs to be mine. Your style is such a personal thing because it's what you are wearing all day. It doesn't have to please anyone else except yourself. Wear what makes you happy and what makes you feel comfortable because that's going to make you happier in turn, which is really all that matters.